← Will We Ever Live In The Homes Of The Future? Move over, spider silk; according to a new report from the BBC , engineers here in the UK have recently discovered the strongest biological material known to man…the teeth of the common limpet. 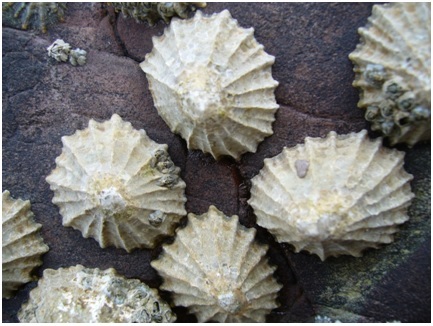 This finding is based on a series of experiments conducted by researchers at the University of Portsmouth, which revealed that the strength of a limpet’s tooth exceeds that of spider silk (the previous reigning champion) and is even equal to the strongest man-made materials, such as high-performance carbon fibres. Limpets are a type of aquatic snail which can be found in the seas surrounding the British coastline and use their super strong teeth to cling to the surface of rocks and harvest algae for food. These intriguing creatures have been described by some as the bulldozers of the sea and actually excavate rock using their teeth during feeding. Limpets’ teeth are so hard that the researchers even had to use a diamond saw to cut them into tiny pieces before they were subjected to a battery of tests designed to investigate how much stress could be applied to this material before it reached breaking point. Based on their investigations the researchers concluded that the secret to the materials strength lies in the thinness of its tightly packed mineral fibres. Significantly, the researchers believe that engineers could learn a lot from the design of this natural material, which could hold great promise for the development of new and improved engineering materials. For example, the design principles found in limpets’ teeth could help improve man-made materials, such as those used in the construction of cars, aircraft and boats. This latest finding shows once again how the natural world can be a great source of inspiration for engineers. Here at European Springs we like to keep up-to-date with all the latest discoveries from the engineering field. We’re suppliers of a wide range of high quality spring products including disc springs which are used for an extensive variety of engineering applications. For more information, please don’t hesitate to hesitate to contact us today by giving us a call on +44 (0) 208 663 1800, and a member of our expert team will be happy to help you with your enquiries.